Let me start by wishing all our dear readers a very happy and prosperous 2016. On behalf of the entire Advisorkhoj.com team, I want to thank our readers for their strong support and engagement over the past year and we will endeavour to further strengthen our engagement in 2016. 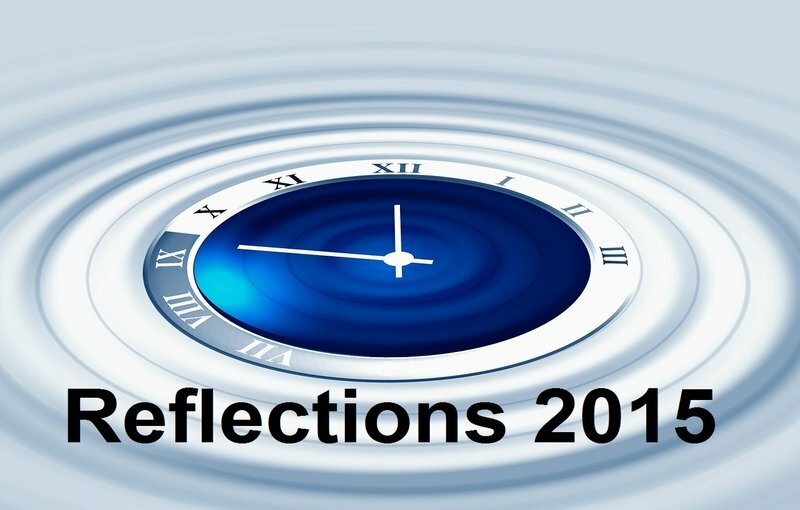 In this blog I will share with you my reflections on the year gone. If we rewind our clocks back a year, you will remember that we exited 2014 on a euphoric note on the back of the general election results and hopes that the new NDA government will put India back on the path of much needed structural reforms along with the resultant economic growth. The frontline equity benchmark index Nifty was up 30% in 2014 on a year on year basis. As we finish 2015, Nifty is down around 5% on a year on year basis. Clearly this has been a tough year for equity markets. But let us not forget the positives this year. Indian investors pumped in a massive र 90,000 crores in equity mutual funds, a whopping 75% year on year increase over 2014. The RBI reduced repo-rates by 125 basis points this year. Some of you may have already seen the reduction in your home loan EMIs, while more reduction is in the offing in 2016 due to transmission lags. The Government announced a further र 50,000 of tax savings under Section 80CCD in the Budget, for investment in the National Pension Scheme. Vehicle owners would have seen some reduction in their petrol bills, with declining crude oil prices globally. Finally, in a very important development, late in the year, the uncertainty over US interest rates has been removed for the foreseeable future, with the mildest of rate hikes announced by the US Federal Reserve few weeks back. There have been some negatives of course, especially with the pace of legislative reforms, state election results which did not go the way the markets would have hoped for and also with respect to concerns about the global economy, especially with China. But here in Advisorkhoj, we always endeavour to focus on the positives, because the negativity does not lead us anywhere. Here are some of the top trends in 2015. As discussed earlier, investors pumped in a massive र 90,000 crores in equity mutual funds, the highest in the last 10 years. This was on the back of very strong retail inflows in equity mutual funds. This is surely a sign of retail investors coming back to equities after a long time. In fact, volatile market conditions and market corrections are the best times when retail investors should tactically shift their allocations from debt to equity. The mutual fund industry crossed an AUM of र 13.5 lakh crores, with more than 50 lakh new investor accounts added this year. The pure equity mutual fund assets surpassed the mark of र 4 lakh crore, the first time ever. This shows growing investment maturity amongst Indian retail investors, something which was absent in the previous bear markets. Investments made during this period will help the retail investors earn very handsome returns in the long term. Another, extremely positive development is the allocation of domestic investors to financial assets. While for the past few years, the allocation to physical assets like real estate and gold has been higher compared to financial assets, the trend has been reversed this year. While Indian investors have for long had an obsession for physical assets, we have mentioned a number of times in our various blogs in advisorkhoj.com that are still many people who believe that real estate is the best investment. An ex business colleague told me that he bought an apartment in Gurgaon in 2004 for a little less than र 50 lacs and sold it in 2014 for र 3 crores. While the returns seem phenomenal when you hear about it, if you do a little math the picture is slightly different. If you factor in the registration and stamp duty charges, interior work, brokerage and the capital gains tax my colleague had to pay, the compounded annual growth rate of his investment is actually around 15%. If you then factor in, the interest he paid on his home loan, the returns might very well be in single digits. While most people focus on absolute numbers, the single most important metric for evaluating the performance of an investment is compounded annual growth rate or CAGR. Some of the top diversified equity funds over the last 20 years have given compounded annual returns in excess of 20%. The re-entry of retail investors in the equity market, along with the decision of the Government to invest a portion of Employee Provident Fund corpus in equity market from August of this year, will have positive long term implications for the retail Indian equity investor. While the Nifty may have corrected by 5% in the last one year, it has not been a gloom and doom year for all mutual fund investors. SBI Pharma Fund, SBI Small and Midcap Fund, DSP Black Rock Micro Cap Fund, amongst others have given north of 20% returns. Among debt funds, ICICI Prudential Advisor Series – Dynamic Accrual, an open ended income fund gave 11% returns in the last one year. Franklin India Dynamic Accrual Fund, an open ended income fund, also gave more than 10% returns in the last one year. Among hybrid funds, ICICI Prudential Child Care – Study Plan, an open ended debt oriented hybrid scheme, gave double digit returns in the last one year. Even among equity oriented hybrid funds, L&T Prudence Fund gave double digit returns. Who said that, you will always lose money in mutual funds if market declines? The above examples hopefully disprove this hypothesis. Mutual funds offer a large variety of products catering to number of different investment needs. Investors should also remember that the “market” is not a singular comprehensive entity. There are equity market and debt markets. Even within equity and debt markets there are a number of sub-segments, which do not necessarily follow the market trend always. It is imperative that investors and their financial advisors educate themselves about different investment products and not be captive to over-arching perceptions which are often wrong. Usually large cap stocks perform better in volatile market conditions compared to small and midcap stocks. In market corrections in the past, small and midcap stocks and funds suffered sharper cuts compared to large cap stocks, because these assets are intrinsically more risky than large cap stocks or funds. However 2015 was an exception. While midcap funds outperformed large cap funds in the bull market of 2014, the outperformance of the midcap funds has continued even in the volatile market conditions this year. Indian retail investors should note that impact of Foreign Institutional Investors (FIIs) activity on their investment performance. FIIs are very important stakeholders in Indian equity markets, since they account for large volumes traded in the market. FIIs invest primarily in large cap companies. Therefore their activity has a huge impact on share prices of large cap companies. FII activities are mostly driven by global factors and therefore, even if the domestic factors are favourable, share prices of large cap companies can suffer because of global risk sentiments. More or less, from the second half of 2015, FIIs have been net sellers in the market and they have pulled out huge amounts from the Indian market. We saw this year, share prices of large cap companies taking a beating because of global issues primarily. On the other hand, small and midcap companies are relatively more insulated from FII activities. The chart below, shows the trailing annualized returns of the midcap funds versus large cap funds, over the past 1, 2, 3 and 5 years. Balanced Funds have been one of the fastest growing mutual fund categories in 2015 from an AUM perspective and for good reason too. In fact, this year we have seen a number of Balanced Fund NFOs, which have attracted retail investor interest in good measure. These funds are ideal for investors with moderate risk tolerance levels and also first time mutual fund investors too. Balanced funds are attractive investment options for first time mutual fund investors and investors with moderate risk tolerance, especially during periods of high volatility. In fact over the last year balanced funds on an average have outperformed large cap funds category. Balanced Funds which are hybrid equity oriented funds with about 65 – 75% allocation to equity and the balance to fixed income, have given positive returns in the last one year, while large cap equity funds on an average have given negative returns. These funds enjoy equity taxation, whereby long term capital gains (investment holding period of more than 1 year) are tax free, while the investors enjoy tax free dividends. Balanced funds also help investors in managing their asset between debt and equity. The chart below shows the performance of balanced funds versus large cap equity mutual funds over the past 1, 3 and 5 years. 2015 has been a highly volatile year for the equity markets. In early March, the equity market touched the all time high of 9000 on the Nifty and corrected 12 to 15% from the all time highs. The volatility will not go away anytime soon in 2016. The global macro factors causing risk perception is not likely to go away in the next few months. The Chinese economy and currency will continue to be a concern as we go into 2016. Emerging economies as an investment basket for FIIs, of which India is a part of, will be an asset class which will be watched with a lot of trepidation. On the other hand, there is another school of thought championed by Morgan Stanley that, India may have delinked itself from other emerging economies. Therefore the dynamics of foreign funds flow in India will be different from the rest of the emerging markets basket. But, domestically within India, there are concerns about the pace of economic reforms. This year has largely been a disappointment, as far as the pace of economic reforms in India is concerned. The winter session of the Parliament was a complete washout. The Government can blame the opposition parties, but how does it help the investors? That said most FIIs still have a lot of faith in the Modi Government to deliver the necessary reforms. A lot of administrative actions have been implemented by the Government, which is a good thing, but some important legislative actions like the GST are still pending. Further, some important state elections are coming up next year, but those are not the ones where the NDA or BJP is expected to do well anyway. Therefore, one can expect the Government to stick to its reformist agenda in the upcoming Budget and not resort to populism for the sake of elections. But is the volatility likely to go away before the Budget or even after it? The answer, based on expert opinion is that, it is not likely to go away. 2016 will continue to be volatile, at least till the budget or even after that. Having said that, should long term equity investors be worried about it? The answer is no, and in fact this has been and will be a blessing in disguise for retail investors. Volatility matters to short term investors, but for long term investors investing through Systematic Investment Plans, volatility helps them to enhance the return on their investments, through the principle of rupee cost averaging. A fund manager once told me, volatility bothers an investor in the short term, but if investors look at volatility over a 10 year period, equity mutual funds are actually much less volatile than they are perceived to be. He is absolutely right, because I back tested volatilities of equity mutual funds over a period of 10 years. It is only much lower than short term volatility; in fact, over a long investment horizon, equity as an asset class is less risky, than what our usual perception is. No wonder, equity as an asset class is superior to all other asset classes in terms of long term risk adjusted returns. 2015 has been a challenging year for Indian equity markets. No doubt about that. In fact, investors, who have been observing share markets over the years, will find a lot of similarities between 2015 and 2011. However, 2011 and 2015 have been fundamentally different in many respects. For one, domestic flows have been strong in 2015, as has been the faith in the India Growth Story. We, at Advisorkhoj, wish all our readers a very happy New Year and hope 2016 and beyond, will be even better for investors. We always welcome the views of our readers, so please share your views by posting in our comments section or by writing to us at connect@advisorkhoj.in or follow us on twitter @Advisorkhoj. Advisorkhoj.com again wishes all its readers a very happy and prosperous 2016.